In this day and age it is pretty much vital for a business to have a website. It is highly recommended to set a website up from the outset of starting your business – it doesn’t have to be a large site, a page or two introducing your business will do just as well. Yes, even for a small business and even if you are not planning on selling online. A website is constantly promoting your business, even whilst you are sleeping, eating or out with your family. An online store never closes so you can generate sales 24 hours a day, 7 days a week. Potential customers can find your contact details in an easy and convenient way, whenever they require and existing customers can recommend you easily by sharing your website address. And remember, if they do not find you online, there is always the danger that they will find your competitors. Your website provides an easy outlet to provide information to your customers, reducing the expense of printing and mailing brochures. You get the advantages of a wide, or even a worldwide, audience with low costs compared to other forms of advertising. But most importantly your website can help save you time! Your website can display information that is commonly requested from you to help reduce the time you spend dealing with customer enquiries, be it help on sizes, opening hours, availability. Including this on your website ends up being more convenient for your customer and your business. whether they had a website or not! Some of those listed simply had an address and/or telephone number – I could not find any information about them to discover what range of services they offered. the quality and amount of information provided on the websites (some had no indication of the range of skip sizes or availability). presentation – those with a well designed easy to use website made me feel more comfortable that this was a good company to deal with. availability of contact information, you would be surprised how many did not have contact telephone numbers available for me to call to request their services! The company that got my business was the one which I felt comfortable would provide me with a good level of service, but would not have happened without their website providing the confidence to contact them in the first place. The only time I believe you would be better without a website is if you have one that makes your business look bad. You may well have come across one before; broken pages, information years out of date, prolific spelling mistakes, bad design, advertising windows popping up everywhere… These things can create a negative impression of your business and could cause customers who would otherwise have used your services or bought your products to go elsewhere. 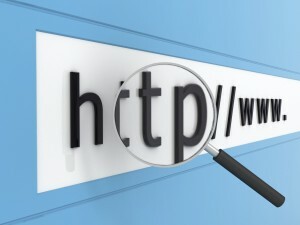 A website is an important part of your business and a worthwhile investment. The added advantage of setting one up early on is that you can market it within all your business communication and social media profiles. Securing an appropriate domain name (eg: www.yourcompany.com) allows you to set up email addresses specific to your company, [email protected] appears more professional than a hotmail or yahoo address.